Don’t overpack when traveling! If you are wondering what to wear to Russia during fall or winter, a puffer jacket is the answer. It’s been a while since I shared a travel look, and quite honestly, this and a few more looks from our trip to Russia are long overdue. But it’s never too late right? 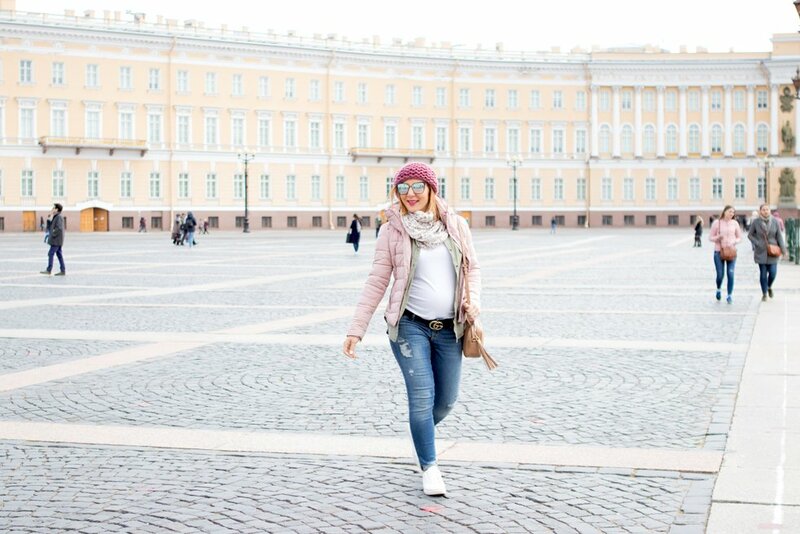 🙂 These photos were taken in The Palace Square, a must-see tourist sight, which is located right across the Hermitage Museum, another sight you can’t miss. If you want a full list of my top sightseeing locations you must visit, check out my St. Petersburg Travel Guide. Before heading to a new destination, I always ensure to check the average weather because nobody got time, or luggage space, to pack the wrong pieces. Since the temperatures were on the low side, I made sure to pack lots of layers that I could easily mix and match. This puffer jacket was a life saver. I prefer this type of jacket over wool or leather coats because they take less space in your luggage, do not wrinkle, keep you incredibly warm and is water-proof. Ha pasado un buen tiempo desde que compartí un look de mi ultimo viaje, y honestamente, estoy super atrasada con este y algunos otros de nuestro viaje a Rusia. Pero buen, nunca es tarde 🙂 Estas fotos fueron tomadas en La Plaza del Palacio, un punto de interés que no puede faltar en su itinerario y se encuentra justo al lado del Museo Hermitage, otro lugar de interés que no puede perderse. Si desea una lista completa de los lugares que debe visitar, consulte mi Guía de viaje de San Petersburgo. Siempre antes de dirigirme a un nuevo destino, me aseguro de verificar el clima pronosticado para esa fecha porque nadie tiene tiempo, o espacio en el equipaje, para empacar piezas equivocadas. Como las temperaturas eran bajas, me aseguré de empacar muchas capas que podía mezclar y combinar fácilmente. Esta chaqueta fue una pieza imprescindible. Prefiero este tipo de chaqueta sobre abrigos de lana o piel porque ocupan menos espacio en mi equipaje, no se arrugan, me mantienen increíblemente abrigada y es impermeable. Another trick is to pack the least amount of shoes possible. I opted for these white sneakers because not only are they very comfy but incredibly versatile as well. 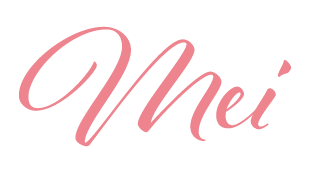 Now, let’s talk about accessories. I’ve always been a firm believer that the right accessories can pull together an outfit that would otherwise be basic or dull. That’s why I packed a few beanies and scarves that would not only provide warmth but match with most of the key pieces I packed. Small additions, like earrings, purse, hat, etc. can make a huge difference don’t you think? PS: I was 6.5 months pregnant in these photos, can you tell? Otro truco es empacar la menor cantidad posible de zapatos. Opté por estas zapatillas blancas porque no solo son muy cómodas sino también increíblemente versátiles. Ahora, hablemos de accesorios. Siempre he creído que los accesorios adecuados pueden aportar a un look con su broche final, que de otro modo sería básico o aburrido. Es por eso que empaqué algunos gorros y bufandas que no solo me mantuvieron abrigada, sino que combinaran con la mayoría de las piezas claves que empaqué. Pequeñas adiciones, como aretes, bolso, sombreros, etc. pueden hacer una gran diferencia, ¿no creen? PD: Estaba embarazada de 6.5 meses en estas fotos, ¿puedes notarlo?